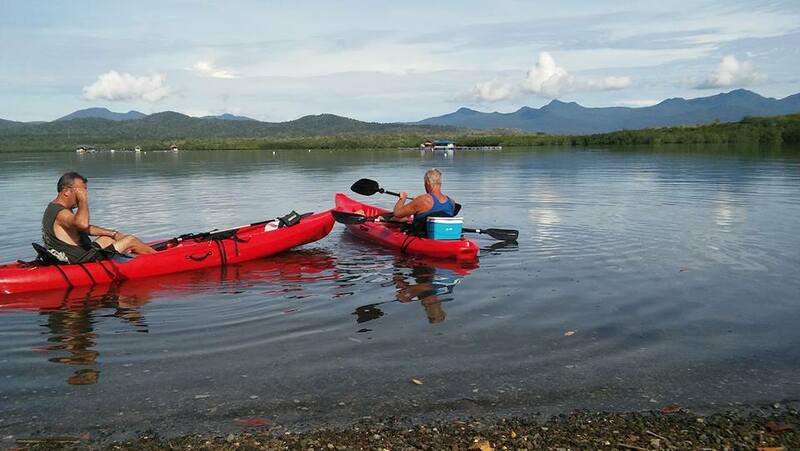 About 45 minutes (with the traffic these days) from Puerto Princesa City is a beautiful natural bay, Turtle Bay. 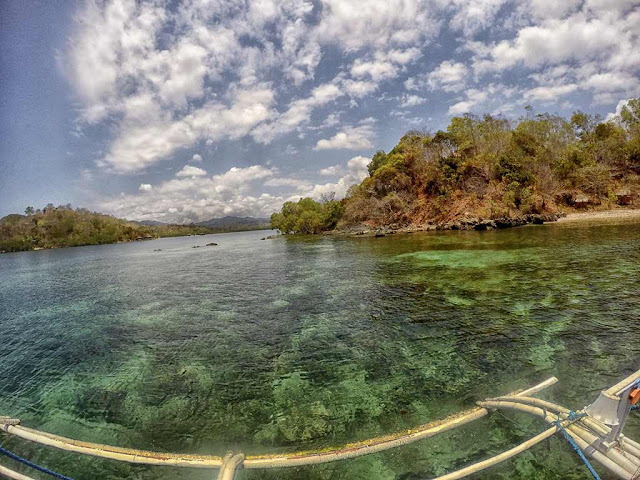 It acts as a nursery for many types of wildlife and sea creatures. It's shores are lined by varying ages of mangrove trees, especially deep into one of its longer rivers estuaries. Right outside the mouth of the bay is another gem, Binunsalian Bay where there is a white sand beach called Puting Buhangin. 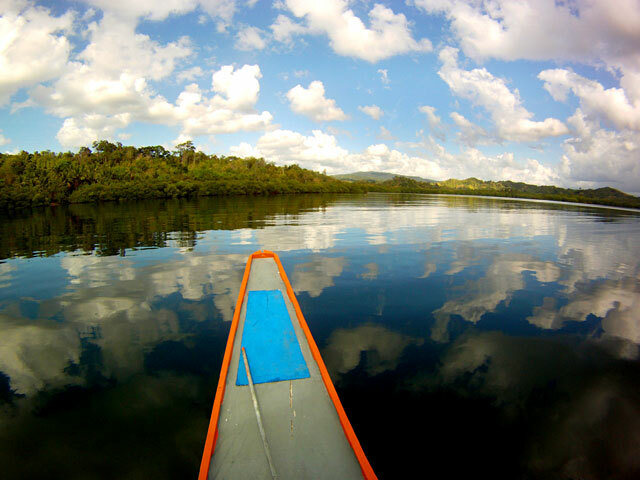 Kayaking is a perfect and non intrusive way to explore this natural fish nursery. I am really excited that a neighboring resort nearby is now offering kayak tours or kayak rentals. Turtle bay is no easy to get to unless by banca. 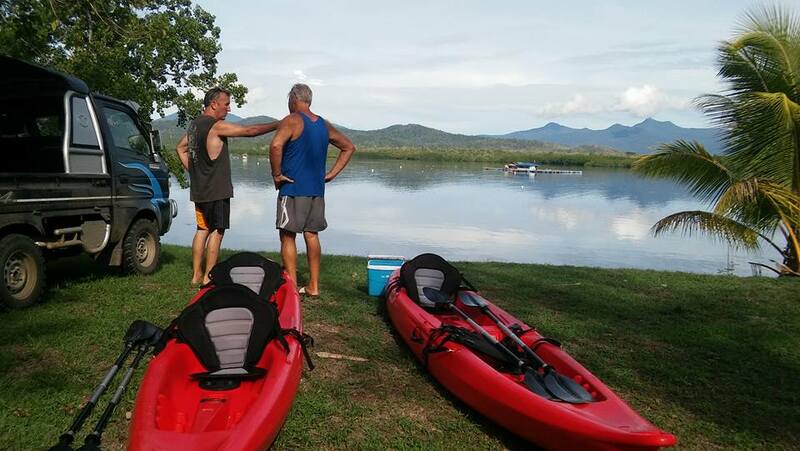 The folks at Al Hamra Resort will take you and the kayaks to choice launch spots. Turtle bay is a hidden treasure for the most part. It's peaceful and quiet. Far from the hustle and bustle of typical tourist spots. Because it is a protected bay, with a small neck opening, there are rarely any waves to worry about. I have never been in the bay where the waves prevented me from swimming or boating. Beautiful Turtle bay from the air. Across the bay Seven Seas Properties wants to put in an Ocean Park. I highly recommend you kayak around this bay before it is destroyed by that development. Go now and you will have the place to yourself. These are the actual kayaks they rent out, with or without a guide. They seat two adults and one small child. Don't let windy weather keep you from enjoying the sea. This bay hardly ever has any waves even in bad weather. One of their launch spots. They will bring you and the kayaks to various spots of your choosing. 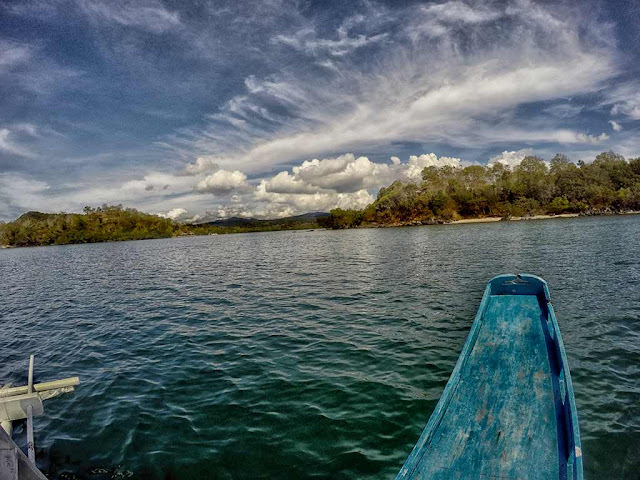 Taken from our private banca. Now the are kayaks so closeby, I will be able to explore the nooks and crannies of this delightful bay. This is right outside of Turtle bay where the waters are clearer. As in emerald green at the right season. There are a couple of beaches you can land on to pic nic. 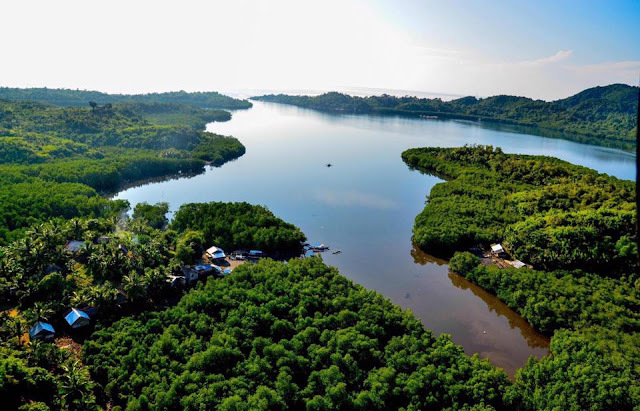 Be aware there are sand fleas in many parts of the mangrove system. So a lot of Virgin Coconut Oil on the skin will drown the little buggers. Insect repellent doesn't seem to bother them. The opening is the mouth of Turtle bay, these are the green waters right outside the bay. Turtle and Binunsalian bays are homes to the now vulnerable Asian Small clawed otter. They are nocturnal so chances of seeing them are slim, but they do come out late at almost dusk. 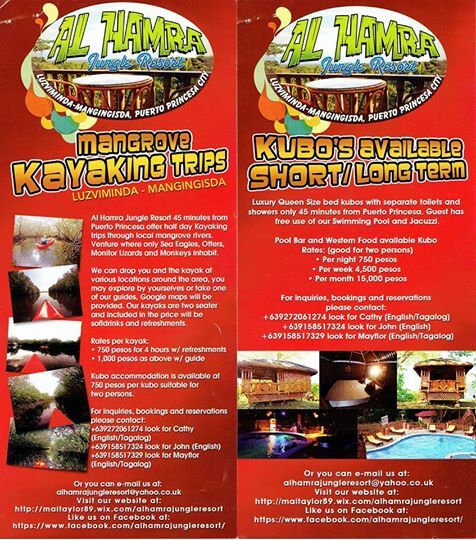 Al Hamra also has clean kubos for those who want to make a weekend of exploring Turtle bay via kayak. It's pretty basic and the CR is a bit of a walk at the moment. But for the rugged individuals this won't bother them. They also have a nice pool to refresh in and a bar and restaurant. The food is mostly Continental, such as Sausage and Bangers, Shepard Pie, hot dogs etc. They do have BBQ chicken wings and lumpia for local fare. Al Hamra also has a lovely resort with decent food and a deep clean swimming pool with a jacuzzi.